The number of electric car sales worldwide reached a record high in 2018, with more than 2 million battery electric cars (BEVs) and plug-in hybrids (PHEVs) sold. In the UK alone, data from the Society of Motor Manufacturers and Traders showed a 22% increase in sales compared with 2017. With more models of electric cars for sale than ever before, drivers now have a greater choice. The benefits of going green are becoming more evident too. But how does the UK compare to the rest of the world when it comes to the sale of electric cars per country – both in total volume and when compared with petrol and diesel? Data from the IEA’s Global EV Outlook 2018 – *includes BEVs and PHEVs. In terms of overall brand-new electric car sales by country, Norway comes in third behind China and the USA. But its comparatively small population means the Scandinavian nation leads the way when it comes to market share. In 2018, pure-electric models made up almost a third of all new car sales – up from 21% in 2017. That works out at more than 46,000 BEVs. This figure doesn’t include the number of hybrids sold. One reason for the growing popularity of pure-electric cars in Norway is a challenging target set by the government for all new cars sold to be zero-emission by 2025. 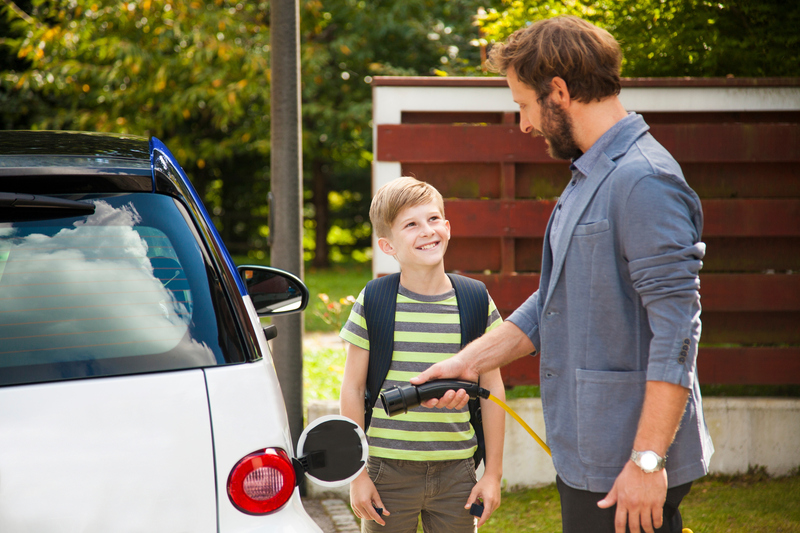 As a means of achieving this target, a series of tax breaks and incentives such as free parking are available for owners of pure-electric cars. If 2017 was the breakthrough year for electric car sales worldwide, China had a significant hand in it. More than 700,000 BEVs and PHEVs were sold in China during 2017 – 579,000 of which were private passenger vehicles. That figure is reported to have soared even higher to 1.2 million in 2018. This means the Chinese market accounts for more than half of all BEVs and PHEVs sold worldwide. With almost 200,000 units sold in 2017, the USA ranked second for sales of electric cars per country. Even though it lagged some way behind China, sales in the USA were still up by roughly a quarter on 2016, which seems more impressive when you consider total car sales dropped for the first time since 2009. The Tesla Model S took the crown of best-selling electric car in the USA, with BEV and PHEV sales – perhaps unsurprisingly – strongest in California compared to other states. But there’s some way for the American market to go, with electric cars accounting for a mere 1.2% of all total new car sales. By 2040, the UK government is expecting most new cars and vans sold to be 100% zero-emission and all new cars and vans to have significant zero-emission capability. By 2050, the expectation is for almost every car and van on the road to be zero-emission. With BEVs and PHEVs accounting for just under 2% of all new car sales in the UK during 2017, it’s an ambitious target with serious ground to make up. But sales are heading in the right direction. The sale of electric cars in the UK has been increasing at a time when total sales have been going in the opposite direction. More choice, greater awareness and a drop in diesel car sales have helped to drive this growth, with the Nissan Leaf proving to be one of the most popular pure-electric options. The USA, China and Europe are responsible for around 9 in 10 sales of electric cars, but Japan and South Korea are also major players. Meanwhile, Iceland is the only other country apart from Norway where electric cars recorded double-digit market share in 2017 (13%). Much like Norway, the issue with Iceland is its small population. While the market share of BEVs and PHEVs looks impressive on paper, it still only equates to around 3,000 vehicles. That said, the number of electric cars on Icelandic roads was double that of Israel in 2017. Just 1,600 electric cars are driven by Israelis, which has a population roughly 20 times that of Iceland. Of course, relying on percentage growth can be misleading. Bulgaria’s BEV market increased 1,260% in 2017 compared with the previous year. Look closer, and you’ll find only 5 BEV models were sold in 2016. While that number leapt to 68 in 2017, you wouldn’t say the Bulgarian market was exactly booming! If the expected growth in electric car sales worldwide continues, sales records will continue to be broken – not least with the increase of used electric cars for sale and introduction of more incentives for electric car ownership. Whether ambitious targets are reached is another question.